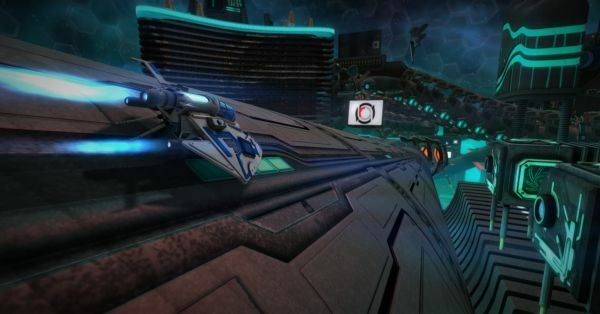 Created by former Black Rock Studios and NCsoft developers, Radial-G is the debut title from newly-founded, Brighton-based games company Tammeka and will be the first Oculus Rift-ready racer to market and is currently the most polished VR racing experience available. Climb into the cockpit of an alien craft and tear up the anti-gravity track as you do battle with over 30 real and AI opponents. Rift ready, and offering single and multiplayer action, you’ll be able to fully immerse yourself in intense races on tubular tracks featuring gut-wrenching twists, turns and drops. Plus Weapons! And Explosions. AND Customization. The Radial-G prototype has been lauded by VR enthusiasts at several national events and this Oculus Rift-ready PC title is due to arrive on Kickstarter on Thursday July 3, where gamers will be able to play the FREE single-player demo and help turn this amazing single player demo into a fully-fledged multiplayer game. Try out the PC title for free using the Oculus Rift VR headset, or play as normal “NOculus” mode on your monitor if you don’t have a VR headset. Both versions support xbox gamepads with rumble to really feel the speed! Mac and Oculus Rift DK2 support is coming very, very soon. Take-Two Interactive and 2k Games have signed on to bring a modified version of Civilization to students!